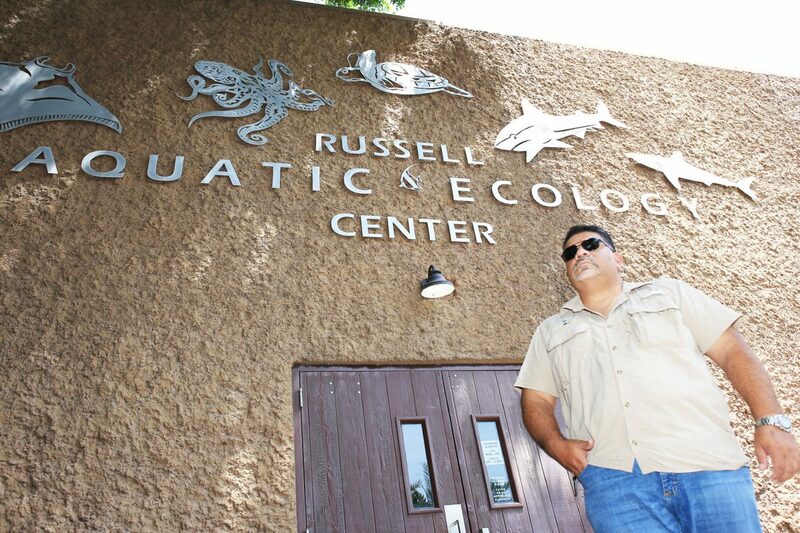 Curator of Conservation Programs at Gladys Porter Zoo Luis Jaime Peña stands in front of the Russell Aquatic Ecology Center in Brownsville. Budget season is open, and Brownsville leaders are hoping residents will share their input on where tax dollars should go. BROWNSVILLE — In his office at Gladys Porter Zoo, Curator of Conservation Programs Jaime Peña said that 33 years ago, only 702 Kemp’s ridley sea turtles were found on the beach of Rancho Nuevo in Tamaulipas, Mexico. The 30-kilometer stretch is the largest nesting ground for the critically endangered species. Peña then brought up a photo on his computer screen that captured a segment of the more than 8,000 female Kemp’s ridley sea turtles that made their way to the sand during the arribada, or nesting event, May 26. There were more turtles in the photo than were on the entire beach in 1985, he said — a testament to the progress of conservation efforts. “The reason we’re going to let the people know what it is that the zoo is doing to save a species,” he said. Peña is one of five Gladys Porter Zoo staff members traveling Monday to Rancho Nuevo as part of a binational conservation project that is marking its 40th year. The zoo has been the U.S. administrator of the project since 1981, he said, though its involvement in protecting Kemp’s ridley nests in that region goes back another nine years. Its partners are the Comisión Nacional de Áreas Naturales Protegidas and the state of Tamaulipas. At least 80 percent of Kemp’s ridley nests are on the Rancho Nuevo beach. Peña said conservationists’ aim is to monitor the beach, pick up the eggs that are laid and build nests with protective corrals. They’re hoping this year yields 10,000 nests, which would mean 350,000 to 500,000 baby turtles would make their way to the Gulf of Mexico. Given the major nesting event that took place April 14, he said, it’s likely zoo staff will be present to see the hatchlings emerge. Peak nesting season is the last two weeks of May and first two weeks of June, he added. 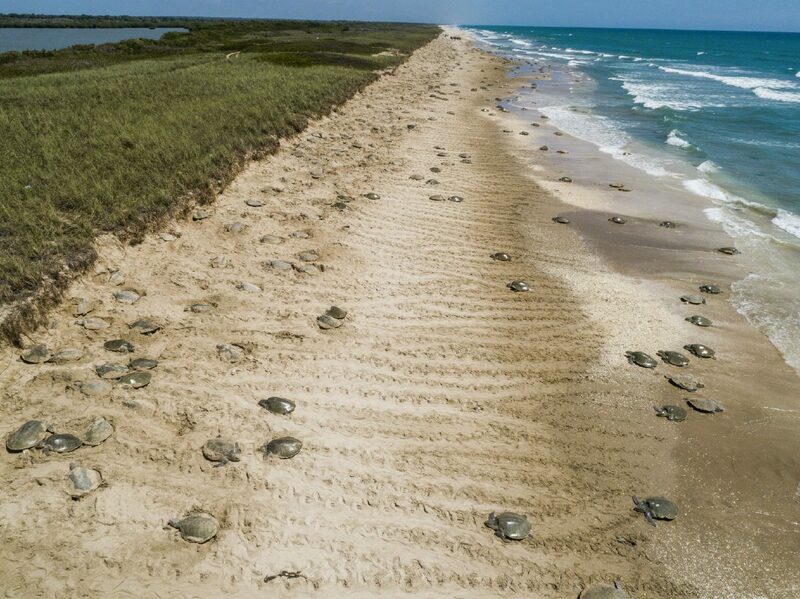 Poaching is no longer the threat it once was to Kemp’s ridley nests during the 1960s, Peña said, though they still face high tides, storms and natural predators. The turtles’ status also has been impacted by pollution in the Gulf, climate change and the decline of blue crabs, one of its food sources, he said. “Weather patterns have changed too fast for any species to adapt to,” Peña said. Kemp’s ridley sea turtles are an important part of the Gulf, he said. Just as vultures, while not exactly cuddly, help keep the landscape clean, Kemp’s ridley do the same under water as scavengers. Without them, Peña said, the Gulf would be a dirtier, smellier place. But conservationists have made strides in educating the public about the need to protect turtle nests. Last week, a tourist who discovered a Kemp’s ridley nest on Boca Chica beach alerted Sea Turtle Inc., he said. The zoo will hold its 8th annual YappoPalooza Sea Turtle Festival, which supports conservation efforts, on June 23.